eHive is a web-based collection cataloguing system. It is designed to make cataloguing and publishing of your collection easy and affordable. eHive can publish collection data stored in the Vernon Collection Management System. The desired data is exported and then imported into eHive by our technicians. These imports can be performed at a frequency that suits you. 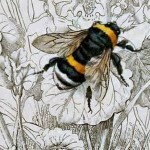 eHive is a cloud-based, cost effective option to publish your collection online. Let us take care of the technology. eHive gives simple ways to share your data with popular aggregation sites like Trove (Australia) and Digital NZ. Maintain your branding and present your collection with all the freedom of the WordPress content management system. Visitors can add comments to objects. This is an optional feature that you can configure. You will be notified as new comments are posted. Report on your progress and measure audience reach and engagement with Google Analytics. Group collections from various organisations together as a community. Communities can be geographic or theme based. Create a read-only archive for colleagues or publish to the World Wide Web. 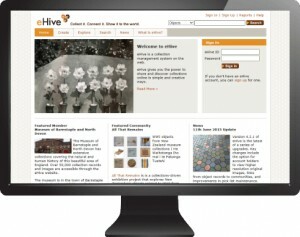 eHive has detailed online documentation which will assist you in creating your online collection. Built-in search options make it easy for users to find specific information. Users can search all text in a record.